Kenneth “Babe” Jackson, 88, died at his home in White Earth on January 19, 2019. 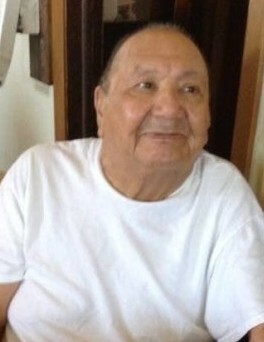 He was born in White Earth on March 8, 1930. Kenneth enlisted in the Army in 1946. He was a Korean War veteran and was honorably discharged in 1954. He married Rosemary Monroe they had 8 children. Kenneth worked as a laborer. He enjoyed listening to Vikings and Twins games and enjoyed spending time with his children and grandchildren. He is preceded in death by his parents George and Pauline (Chesley), brothers Frederick and Edward and sister, Evenelle. Survived by his children: Kenneth (Monica), William, Timothy (Chris Fairbanks), Paul, Corrine, Karen (Greg) Doumany, Keith and Roxanne (Glenn) Bartelmy, grandchildren, great grandchildren and great-great grandchildren. Thanks to his son Tim for being his constant companion and caregiver.